A housing boom and rapid influx of new troops to the region drove explosive growth in Hoke County, NC. The rural area had few local physicians, even fewer specialty practices, and no hospital of its own. Cape Fear Valley Health and its project development team from TSP, RPA Design, and Criterion Healthcare created an organizational structure and plan to fulfill community needs, plus meet stringent requirements to secure a $60 million low-interest loan package from the USDA’s Rural Development Program. At the time, the loan was the largest in the federal program’s history. 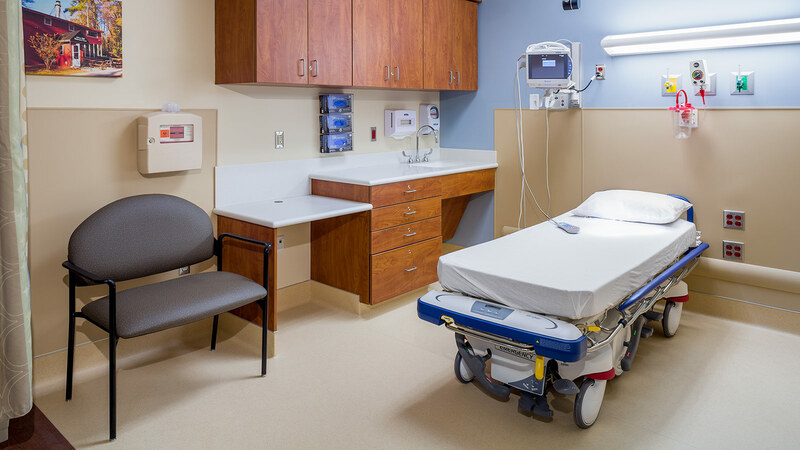 The health system’s new, 41-bed hospital now serves Hoke County as well as Cumberland County and Fort Bragg, providing vital care to patients who previously had to leave their community for treatment. 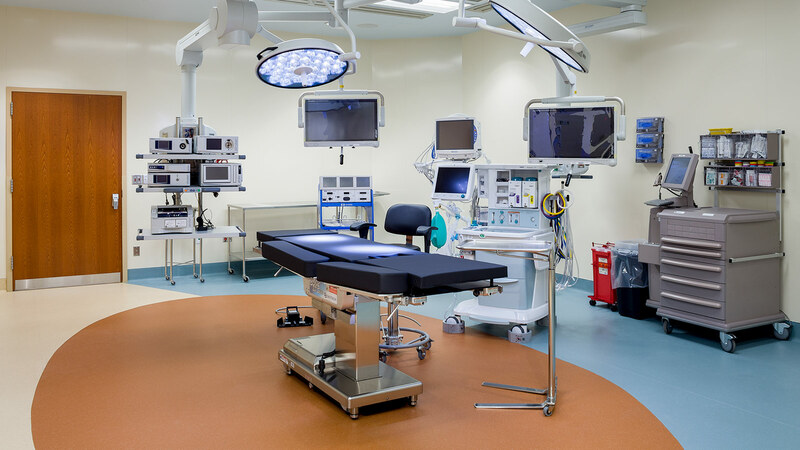 Most patients now can stay within their home hospital, avoiding critical and costly transfers. 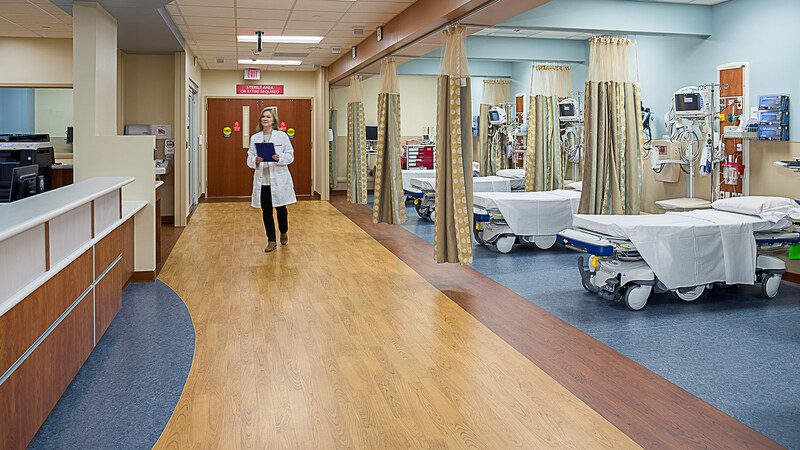 The first floor in the 180,000 sf facility contains the most-accessed services for patient convenience, travel distances, and optimal staff efficiencies: emergency department, pharmacy, laboratory, radiology, patient services, admissions, and surgery. 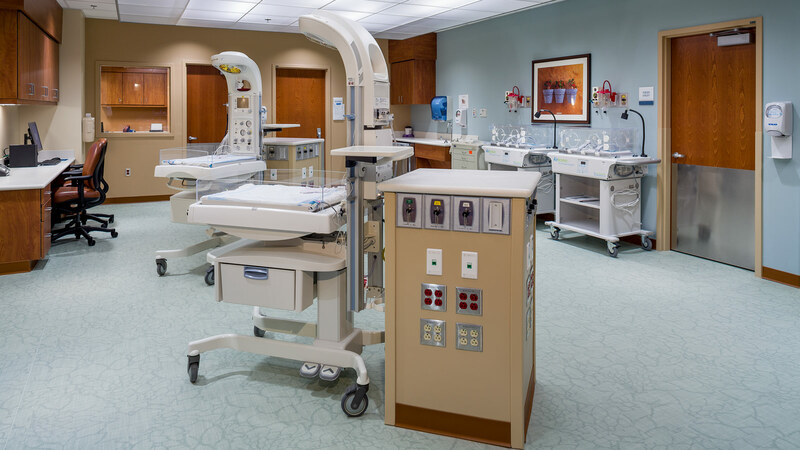 The second floor houses cardiopulmonary services, physical and occupational therapy, a medical-surgical unit, and a birthing center to better serve the area’s growing number of young families. 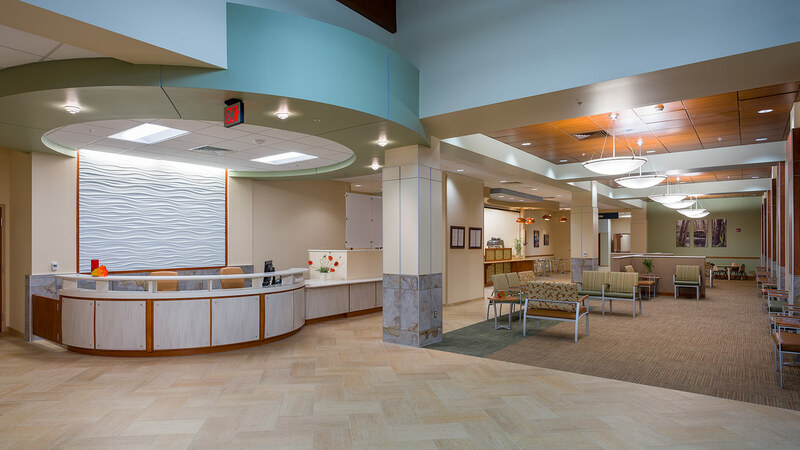 TSP’s planners, architects, and engineers worked to create a warm and inviting feel with contemporary touches that enhance patient and staff satisfaction. Expansive windows naturally illuminate spaces and open to a healing garden. 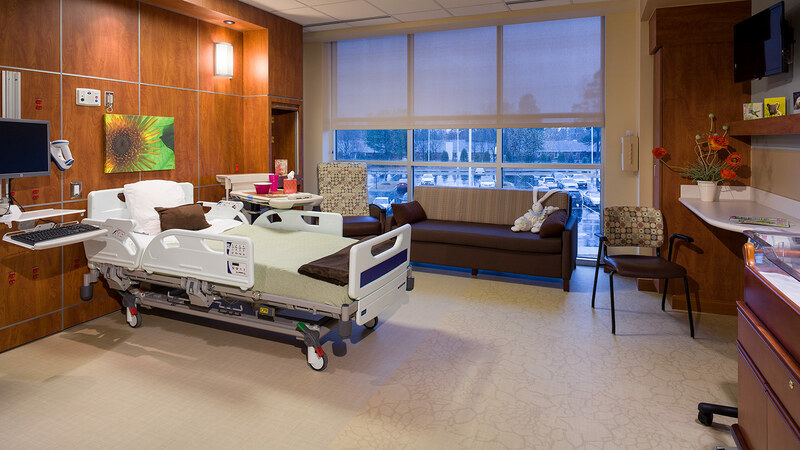 Rooms feature wifi access and workspaces for patients and family members to use their tablet devices and laptops. 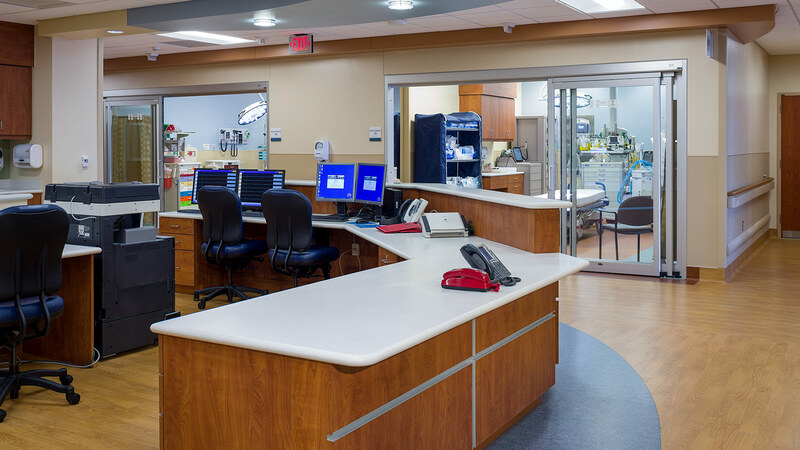 Motion detection lights contribute to functional design and conserve energy in many of the clinical and work areas. 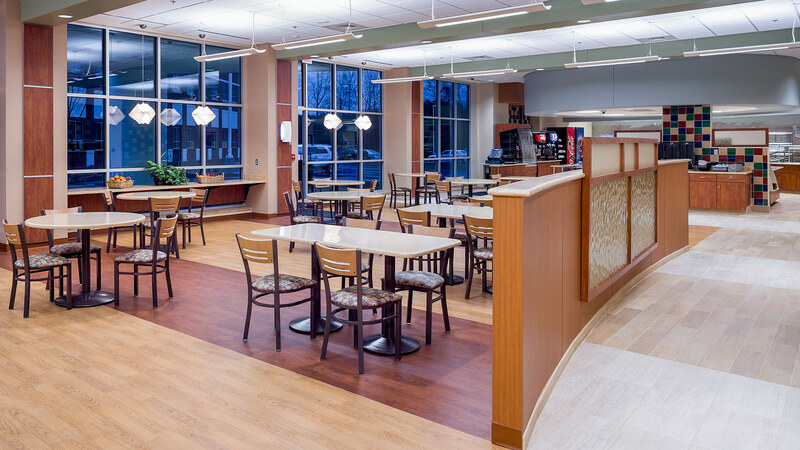 The cafeteria’s intuitive, circular pattern eases the flow of foot traffic. 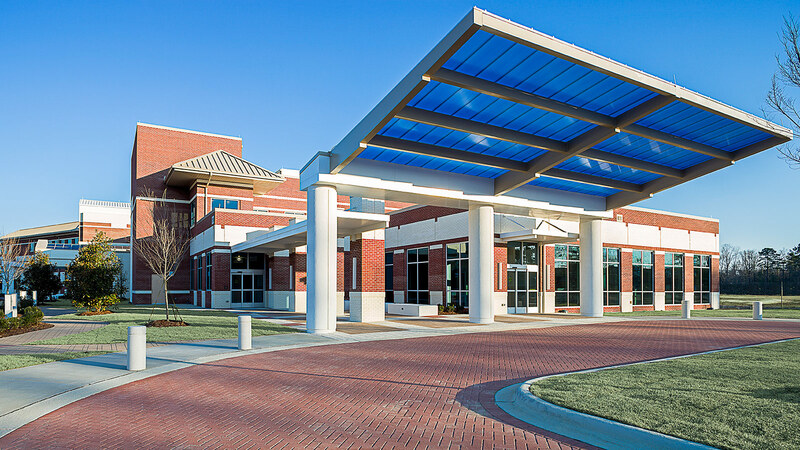 The hospital is the second phase of a 60-acre wellness campus, which began with the 132,000 sf Hoke Health Pavilion outpatient services hub–also designed by the TSP + RPA team. Together, the two projects represent a more than $100 million investment.